For gates up to 1,000 lbs. or 40 ft. in length. This is a Ramset RAM 5000 Commercial Slide Gate Operator. When strength, power, and versatility are your requirements, the RAM 5000 series is your solution. 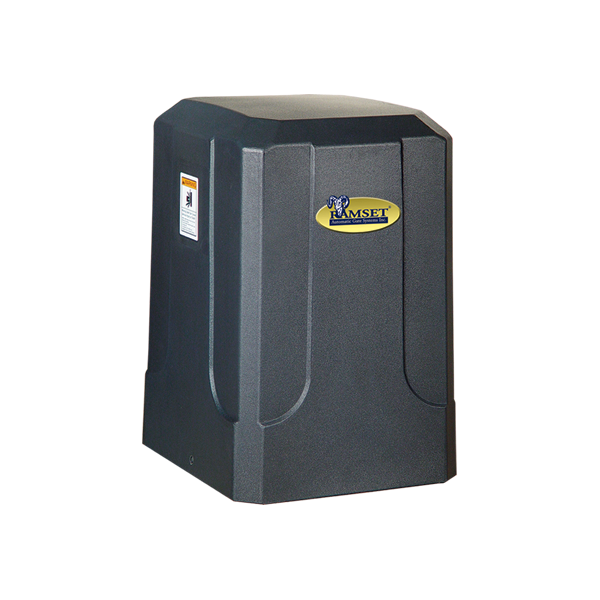 Offering a 1/2, 3/4, or 1-horsepower continuous-duty motor, this series is capable of opening gates as heavy as 3,000 lbs. and can be used in residential, commercial, and industrial applications. All models in the series include Ramset’s Whisper Quiet motor operation. The RAM 5200 features a single 1-horsepower motor, instead of two 1/2 horsepower motors, which delivers more efficient power and is easily upgraded.